"Combat Reconnaissance now contains 36 introductory missions, each of them accompanied by a brief review of various features of the game." and further down, "Completing the full Combat Reconnaissance set of missions will be rewarded with 1000 gold both for new players and for those who have already completed the old edition of the introductory course." Edited by qu33kKC, 22 March 2019 - 10:18 PM. I can not access settings to disable the damn thing. 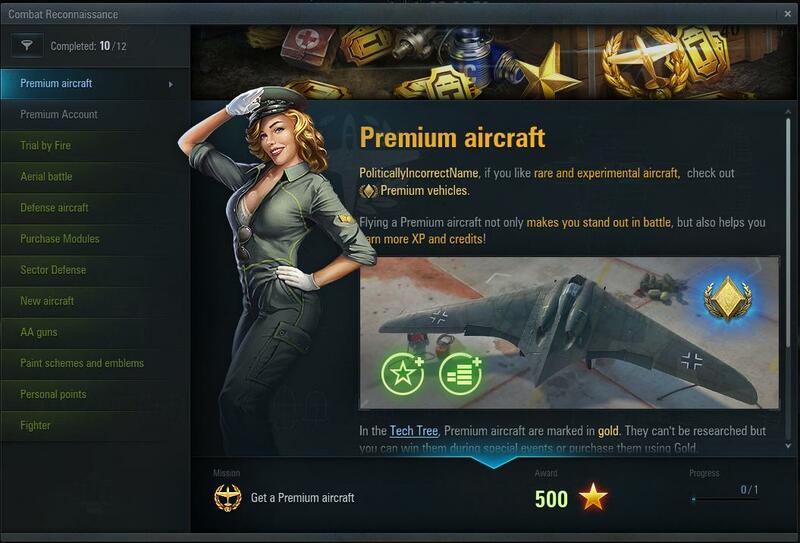 When the new mission is assigned or completed an information popup will appear in the Hangar. This can be disabled in the game settings menu if needed. Exactly where in the setting and what game settings can this "disable" be found? Edited by sandtiger, 23 March 2019 - 01:34 AM. 1 Gold for the "Currency Exchange"
I -think- the total gold cost can be kept to less than 800, giving you 200 ahead on gold + a T2 Premium. I wonder if planes from crate drops work and again.. 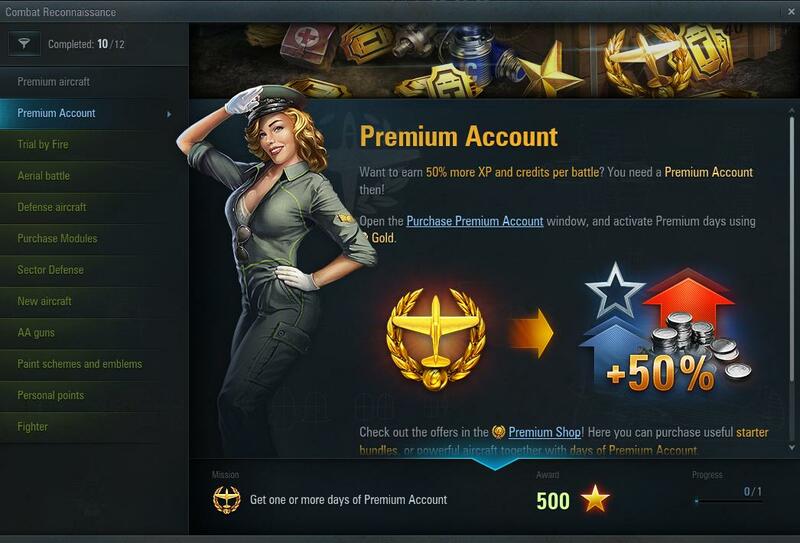 I can't confirm this or not obviously, but Steam players can get a free premium plane just for signing up and I am betting that counts toward this.